Wise Owl’s ‘Food State’ Selenium is a natural form of the mineral & is better absorbed & utilised than other forms of selenium. Selenium may help immunity, ageing, thyroid & male fertility. Suggested dose is 1 capsule daily, so this is a 2 months’ supply. Selenium is a natural antioxidant that protects against free radicals & appears to preserve elasticity of tissue, which becomes less elastic with ageing. It is also a key nutrient in helping support the functions of the immune system & maintains certain energy-producing cells, including those of the heart. Selenium is necessary for the production of ‘prostaglandins’ & plays an important role in maintaining thyroid functions & male fertility/reproductive functions. 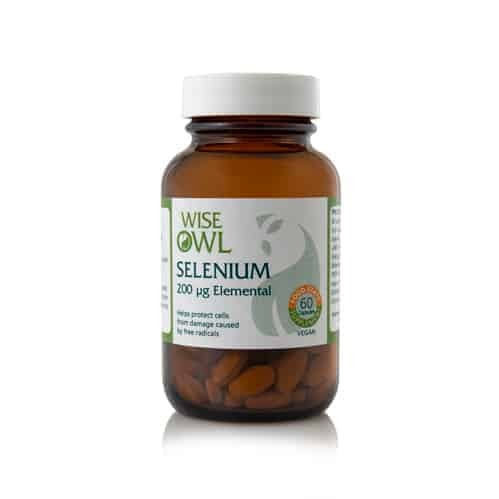 Wise Owl's 'Food State' Selenium Capsules are presented to the body complete with all the amino acids & other phyto-nutrients with which this mineral is found in food, making it far better absorbed & utilised than inorganic selenium supplements. You might also be in interested in our higher potency Selenium 200µg with Iodine & Vitamin B12. Food State Selenium is presented to the body complete with all the amino acids and other phyto-nutrients with which this mineral is found in food. It is effectively a natural, organic form of the mineral and it is hence far better absorbed and used than inorganic selenium. Recent data also shows yeast-bound selenium to be far more bioavailable and totally non-toxic in therapeutic doses. Selenium is a key nutrient in helping support the functions of the immune system. It maintains certain energy-producing cells, including those of the heart, by ensuring an adequate oxygen supply. Selenium is necessary for the production of ‘prostaglandins’ and as such plays an important role in maintaining thyroid functions and male fertility/ reproductive functions. 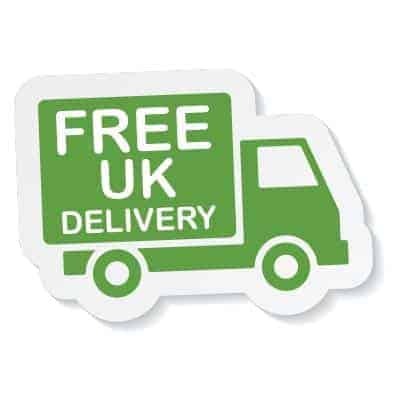 This supplement comprises 60 tablets each containing 200µg of Pure Food State Selenium. Contributes to normal thyroid function. Protection of DNA, protein and lipids from oxidative damage -Selenium contributes to the protection of cell constituents from oxidative damage. Recommended Intake: 1 capsule daily, or take as directed by a practitioner. Product Ingredients: Mineral enhanced yeast* providing selenium; vegetable cellulose. *Contains no live yeast at manufacture.